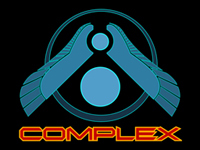 previously for march 2019, when the next public release for complex 14 we be available ? The things i feel strange is that it can run Shogun 2 at max graphic setting at 1080p very well but when it comes to complex 13.4, the game still see noticeable lag on 1 v 1 battlefield game type at max graphic settings at 1080p . Hello everyone first i am somehow new to complex mod but i played homeworld 1 and 2 and also RM and have good grasp of it. but i don't understand what i am doing wrong, the AI 1 shot everything i have and i always lose due to this and his ships almost impossible to even destroy even on easy. Announcement: Accesing the "full access" reward. Hello, sorry to bother, I'm very new to this, but I have been patreon for a bit and I still haven't been given acces to the development forum or JIRA. Select from 14 collectors and doc them to mining base. After that sometimes it stuck inside.